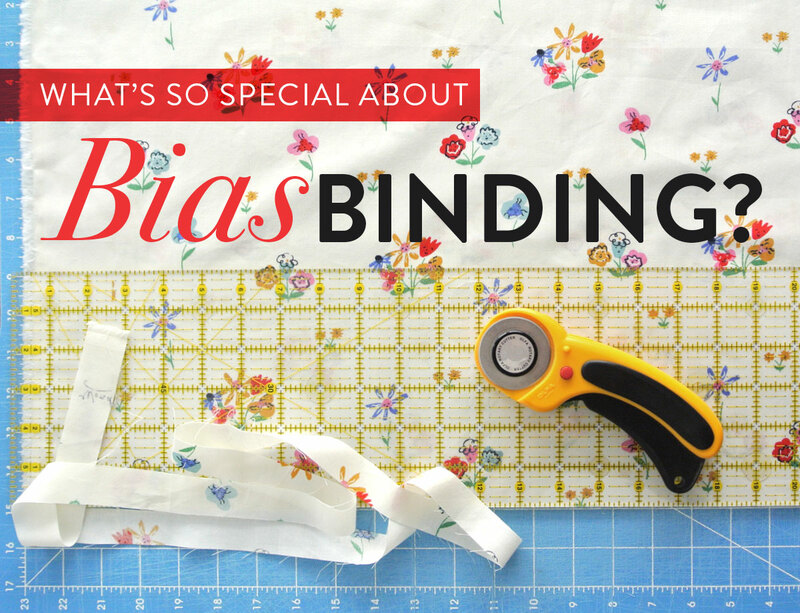 What’s So Special About Bias Binding? So, you finished sewing together the body of your quilt, and you’re feeling like a rockstar. Yeah, I know that feeling. Like you could take on the world… but what you really want to do is just keep quilting. Well, hold on to that feeling, baby, because you still have to finish off your quilt with a killer binding. 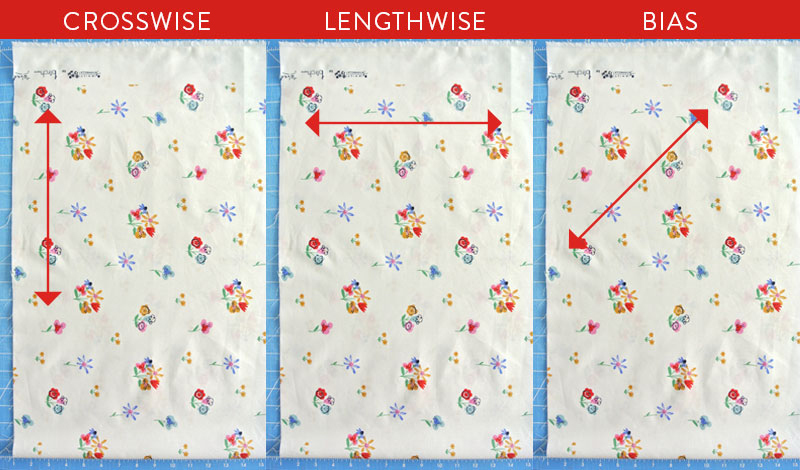 Lengthwise (also known as Warp) - runs parallel to the selvage and has little to no stretch. Crosswise (also known as Weft) - runs perpendicular to the selvage. Because it is made from yarns woven over and under the lengthwise yarns it has more stretch than lengthwise grain. If you’re holding your fabric with the selvage edge on the left and/or right, lengthwise and crosswise are exactly what you might guess: cutting along the length of the cloth, parallel to the edge, or cutting across the cloth, perpendicular to the edge. 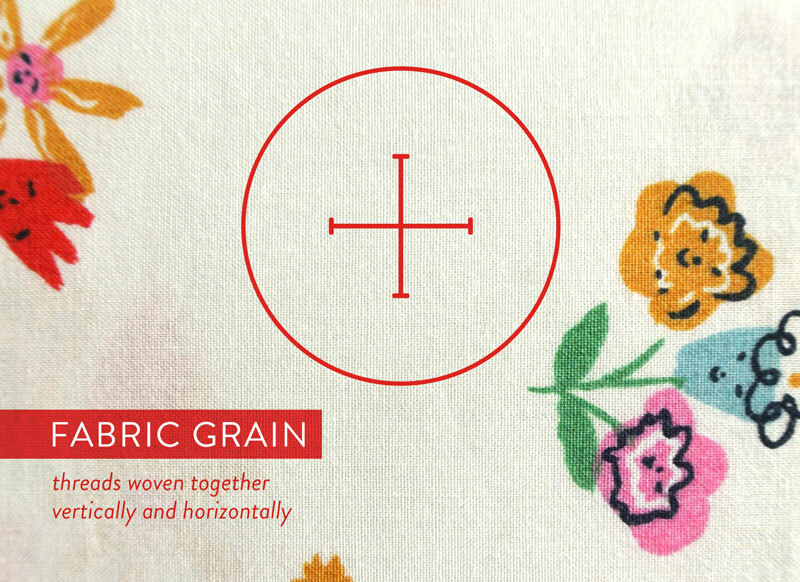 Both lengthwise and crosswise grains are referred to as “straight” grains because they are cut along the grain of the fabric. And then… there’s bias. Crazy, rules-be-damned bias is a diagonal cut across the fabric. I know, it’s pretty wild. Bias binding is super flexible. This is especially true on curvy edges. Have you ever tried to bind a tightly curved edge with a straight grain? It puckers up like your grandma on a holiday. The binding fabric cut is super stretchy, and bias binding gives your curvy edges a flat and smooth finish. That’s what we’re looking for. Okay, don’t worry, we’re not talking about Calculus here. Just some easy stuff. Once you pick the fabric you want to use for your bias binding, you need to figure out how much of it you’ll need. Total yardage needed for bias binding: Let’s take a minute and thank the quilters of yesteryear for coming up with a handy formula for bias binding yardage. Ready for this? Find the total inches of bias binding you need by multiplying length x width. Get out the ole’ calculator (or use the one on your phone) and find the square root of that number, and round up to the next whole number. Sample: The square root of 312 is 17.663. Round that up to 18. Add 2” to 3” for seaming the strips together. Sample: 18 + 3 = 21. We need a 21” x 21” square of fabric to have enough for our bias binding! Note: If you’re totally lost, just google “calculate bias binding.” Thanks, internet. Step 2. Cut. It. Out. Now that you know how much fabric you need (phew… glad that’s out of the way…) lay out your fabric and get out your fabric-cutting-weapon-of-choice. Now, you could just measure, mark, and cut out diagonal strips, 2” wide… or you could try some of this fanciness. It’s called “Continuous Bias Binding” aka “Bias Binding for Overachievers.” No joke, it’s pretty awesome. It will make you feel like a quilting superwizard. Step 3. Connect the strips, and bind like you’ve never bound before! If you went all quilting-rockstar on us and tried continuous bias binding, you may not have very many seams to sew. 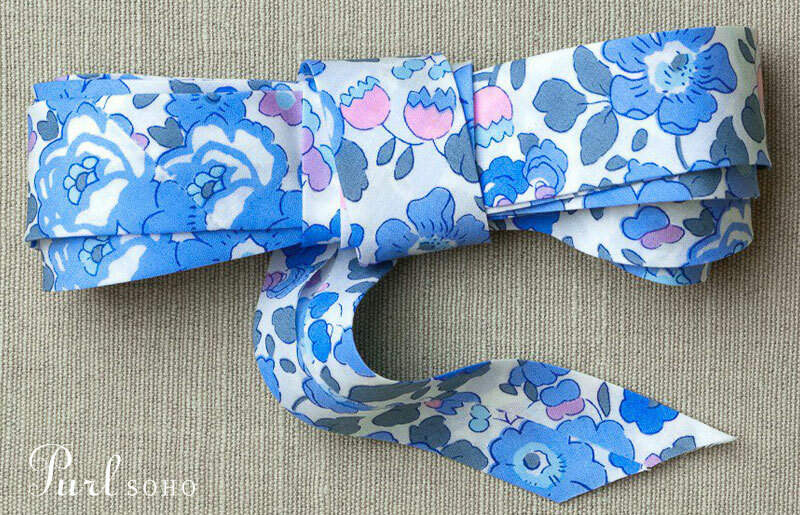 If not, you may have to stitch together your strips before you finish up the binding process. (And again, if you need to jog your memory a bit on binding, read this post. So, if you’re the kind of person who buys store-bought cupcakes and puts them on one of your own plates… you might want to have someone else do the bias-binding dirty work for you. Welp, you’re in luck! A lot of places sell pre-made bias binding. You can find some here and here, or check a craft store near you! What do you think? Is bias binding all it’s cracked up to be? Also, do you make and sell bias binding or know of other places to buy it? Comment below! I’ve always been a bit afraid of cutting on the bias. As of late, all of my binding has been scraps and cutting lengthwise has been the easiest. I haven’t bought bias tape before but if I did, I would go to sobiased on instagram (also on etsy). Their work is flawless! Thanks so much for the info! I’ll have to check that shop out. Great article, pretty much sums it all up! And the square root thing was totally new to me! Bias binding is my favorite and always use bias unless the pattern in the fabric calls for straight grain! In addition to your super powers listed above…there is significantly lest fraying (while you are hand sewing it down). I usually like to reduce the number of seams in my binding, so I usually purchase 3/4 yd. Great post, Suzy! When binding a quilt that you hope will be used / washed / loved often, is making bias tape enough for the binding, or do you recommend using bias cuts doubled up (so that the bound edge of the quilt actually has two layers of fabric rather than one)? Do you think it makes much of a difference?